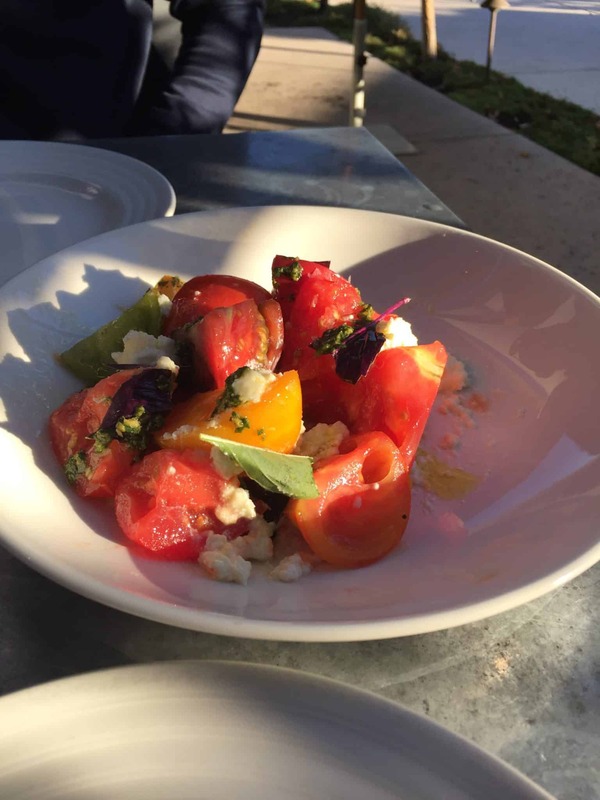 We love restaurants that offer organic produce and grass-fed beef, lamb, etc. 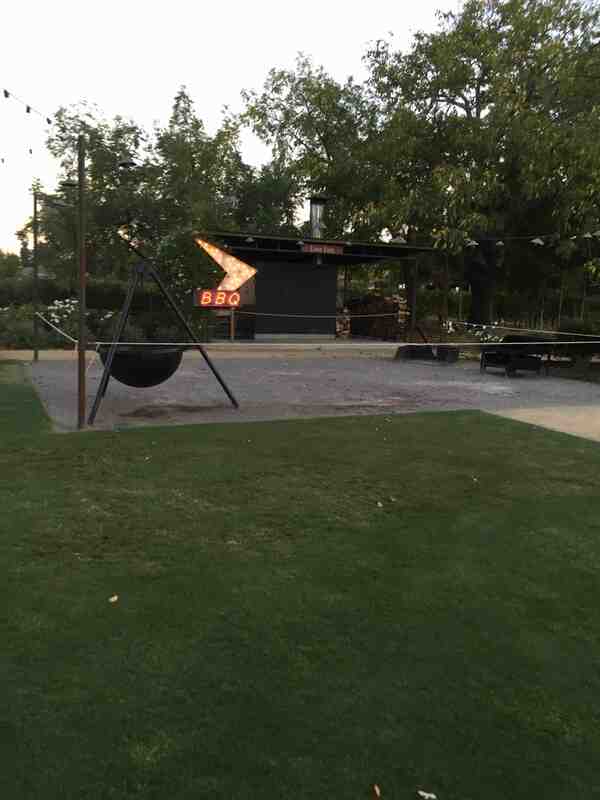 My husband did some research and came across Farmstead at Long Meadow Ranch. It was a 30 minute drive from downtown Napa. The restaurant looks like a cute little Victorian style house on the outside with a restaurant on the inside with an outside patio. It is very spacious. 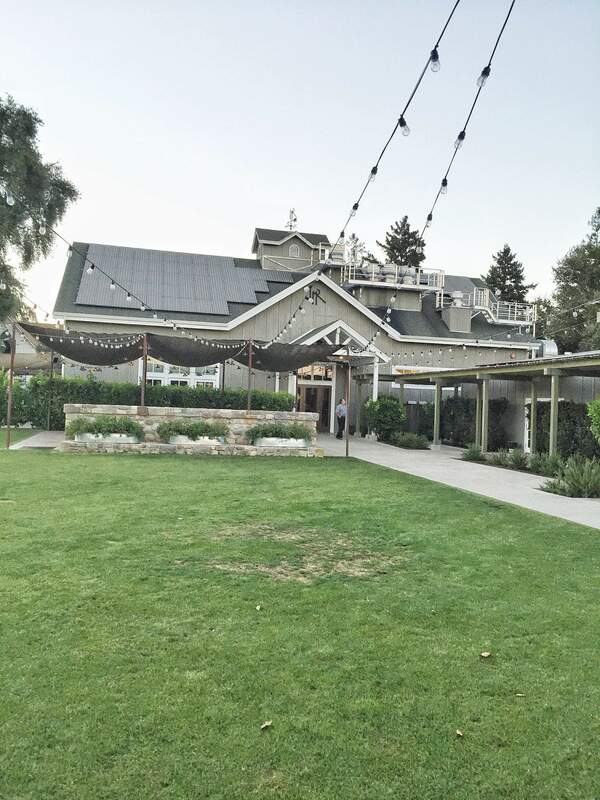 Farmstead at Long Meadow Ranch is a destination for food & wine in St. Helena, the heart of Napa Valley. 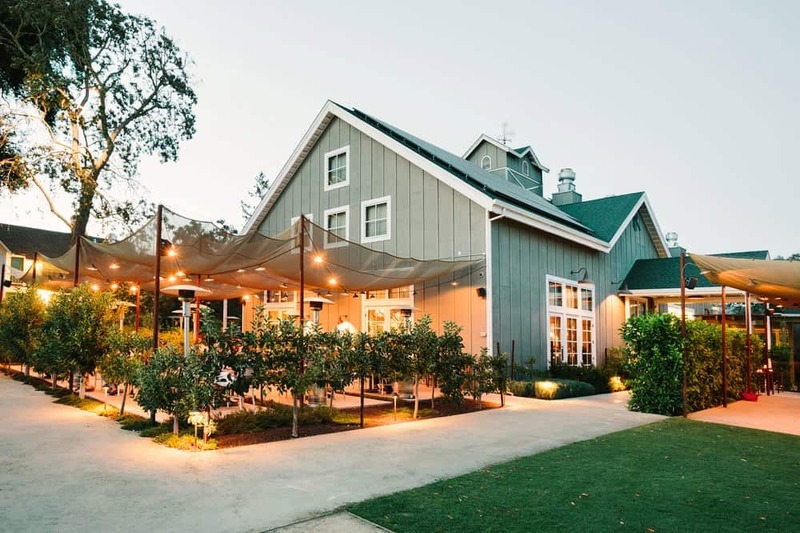 Their Estate grown wines, organic produce, grass-fed beef and lamb, extra virgin olive oil, honey and more are proudly represented by the ingredient-driven American farmhouse cooking of Executive Chef Stephen Barber. Each day the chefs receive a fresh harvest from the gardens of their Rutherford Estate, 90-acres of benchland dedicated to organic fruit and vegetable production, hand-tended beehives, and vineyards. 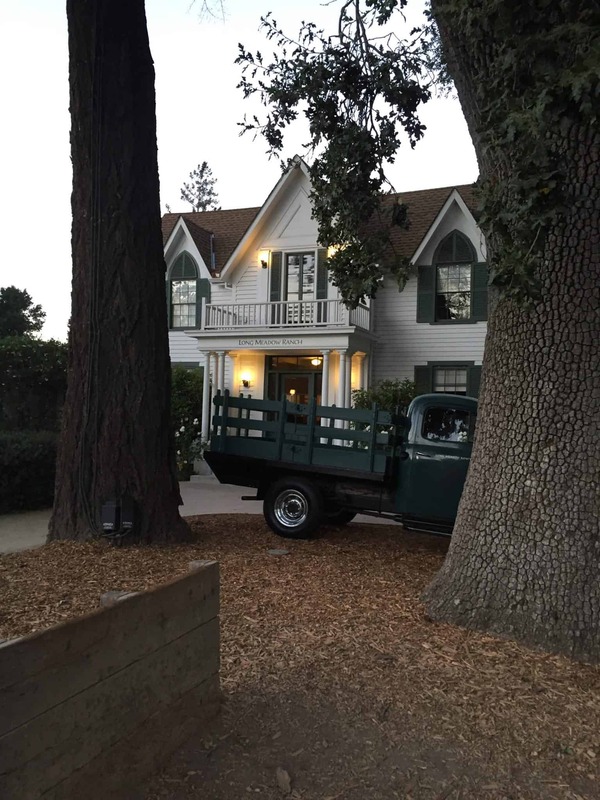 As a Kentucky-native, Stephen brings us an influence of Southern cooking styles employing our wood-burning oven, plancha, a cast-iron grill, and the biggest smoker in St. Helena. Curated by Chris Hall, our award-winning wine program features elegant and balanced LMR wines (both in bottle and on-tap), selections from local vintners and friends, plus a rotating collection of both domestic and international favorites. My meal was a seasonal menu item and is not currently on the menu. 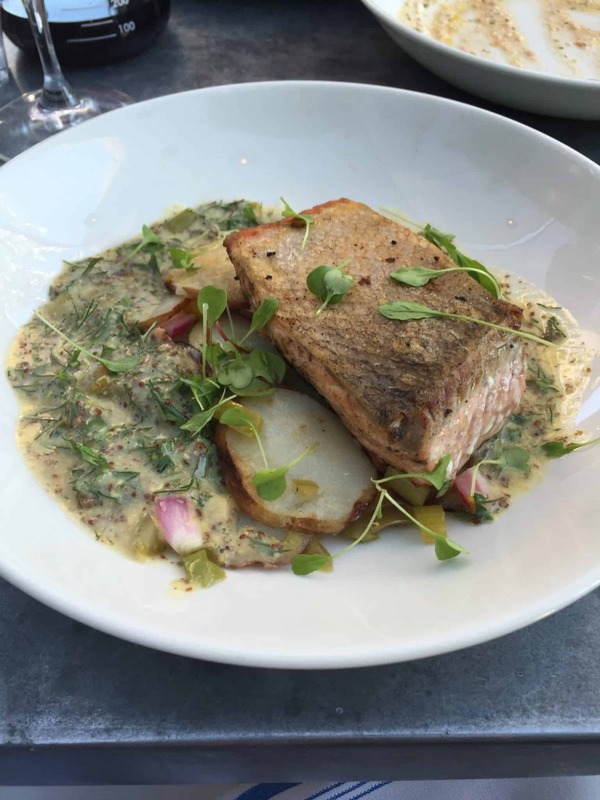 Delicious wild salmon with scalloped potatoes. The salmon was crispy on the outside but moist on the inside. It melted in your mouth. The potatoes were bursting with so much flavour. 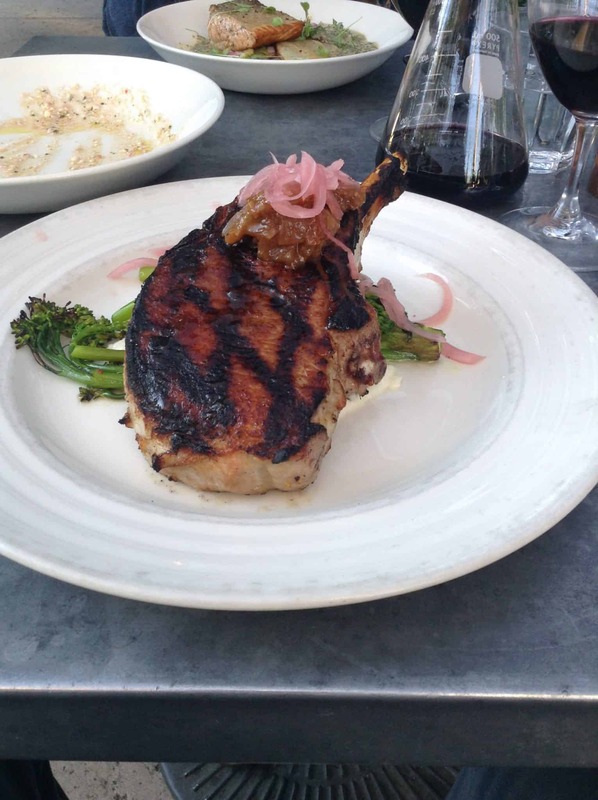 My husband ordered the Wood grilled heritage pork chop with broccolini, jalapeño grits and apple chutney ($28) – everything was cooked to perfection. The apple chutney was a nice addition to the pork chop. We made sure we had room for dessert. Look at these soft, white, powdery pillow like beignets. 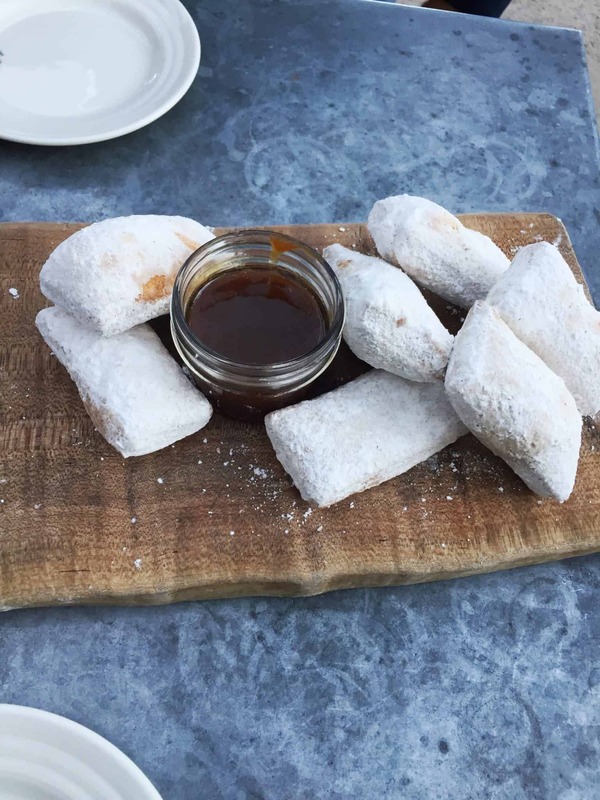 The “Big easy” beignets with bourbon caramel sauce ($9) is a MUST try. They are mouth watering. They were to die for. So soft, they melted in your mouth……okay, I’m craving one now. Take me back to Napa!! After dinner we walked around the grounds. They had a vegetable garden on the grounds along with pomegranates and figs growing. I was very tempted to pick a pomegranate- don’t tell them. I loved the atmosphere at the restaurant. It was laid back with a sophisticated feel. When we go back to Napa, we will definitely be visiting again. Are there any restaurants that stand out from any of your vacations? The cuisine looks and sounds so divine- “fresh harvest from the gardens” “organic fruit and vegetables” yes please! My favorite restaurant (that I can think of off the top of my head immediately) was in Portland, ME. It was called DiMillios, very elegant and fancy restaurant on a boat literally in the water, which in itself was so cool but the seafood was THE freshest seafood I’ve had to date which is saying something because us New Englanders are known for our seafood. I guess that’s the perks of being right off the ocean waters! Oh man, that dessert! I want to try those now.